Email is one of the most important components of not only your online business or brand but also for the people you connect and engage with on a daily basis. The truth is, as much as ’email stays the same’, it’s actually also always changing at the same time. It’s these minor changes that can make a big difference in the success of your email marketing campaigns, and actually be getting read by your audience. Such changes and areas to pay attention to consist of lead generation efforts, list delivery, email templates and content usage, and much more. At the end of the day, in addition to everything else you need to monitor to make sure you run a successful business online, you also need to make sure you are always staying up to date on the latest trends and news within your industry. That’s exactly what we are going to be looking at today — which is a list of five attention seeking email marketing headlines that have been making the rounds as of lately. Right now is the hottest time of the year for businesses around the world to not only excessively promote their products and services, but also to sell more as well. With so many promotions and emails going back and forth, it’s extremely important to be keeping a close eye on all of your email campaigns before they go out. Not only should they have the best titles and call to actions than ever before, they should also be worthy of getting opened and read as well. While it might be prime season for your business to be sending out more emails and promotions, it’s also time for your consumers to get inundated with emails in their inbox as well. In this article on Huffington Post, readers will get a fresh reminder of everything they should be keeping a close eye on during these high-traffic and spending months, such as; never missing out on an opportunity to offer an enticing deal, setting up marketing automation within your campaigns, considering your options with outsourcing your email marketing efforts, and of course looking at additional paid marketing methods to increase the size of your mailing list in the process. Embedding Images in Your Emails? Everyone knows visual content performs much better than text or written content. The same holds true for email marketing as well. When someone opens an email you just sent out, are they seeing a bunch of text they likely don’t want to read, or are they immediately getting pulled in with some great visual content? If you are going to be including visual content and images within your email marketing, you need to read this article from MarketingLand, as they cover all the necessary basics of what and what not to include when using images in email. Not all image embeds within email are the same, so make sure you are using the latest working methods, which also help with delivery and open rates. If there has been one constant over the past twenty years in the world of the internet, it’s that email marketing has continually been one of the more effective and direct ways to advertise your business, while also staying in touch with your audience. 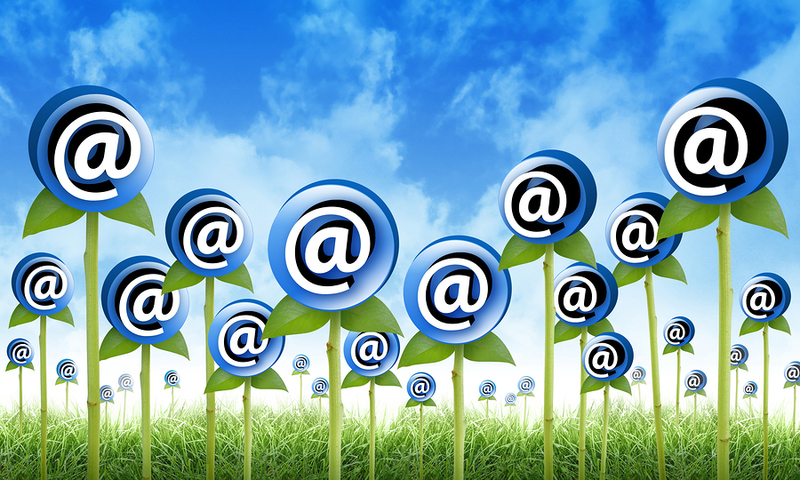 As much as everything else has changed, nearly every person on the internet has an email address. As mobile usage continues to rise, we will keep on seeing new advancements in technology and how businesses and brands connect with their audience. With all of this in mind, it’s important to keep an eye on what email trends are on the horizon for 2018. That is exactly what you will find in this latest article from WebProNews. Some of the most discussed and highlighted trends to affect the world of online advertising and email marketing in 2018 are an increased interactivity inside emails, building better campaigns with artificial intelligence, and more ‘plain text’ emails being sent out. There will also continue to be a much higher focus from list delivery solutions and e-marketers on how to get through to Gmail users while avoiding the spam filter, as Gmail continues to grow as one of the largest free email providers in the world today. The process in which an individual or brand needs to take in order to start a newsletter and place a subscription form on their site is nothing we need to rehash and explain. It’s one of the most basic steps to growing an email list, and most list hosting solutions will provide you with everything you need. However, after this process takes place, many site owners, bloggers, and brands seem to forget the core basics of email marketing and what simple methods work best. In this refresher guide from Gamasutra, we can scroll through their quick tutorial on the best methods for building a mailing list, while also making sure you are following all the key points and best practices being used by top brands and email marketers today. Have you ever thought about sending out a mailing to your list and not including a call to action or link within its content? Most likely not… after all, mailings are usually sent out only because you have something special to offer to your audience, which you then want your subscribers to act on. However, in the world of finance and banking, the world of email marketing is quickly changing as more phishing and hacking emails are taking place. Many organizations are now sending out emails without any links at all! You can learn more about this process and why it’s actually a missed opportunity, in this article featured on Business2Community. While the concept here might seem simple enough, the idea of simply removing links and call to actions within your emails is only going to hurt your brand engagement and conversion rate. This is definitely an article that every business and email marketer should read, simply for the fact that these types of practices are currently taking place in the world of online marketing today. Now that you’ve had the opportunity to read through some of the latest email marketing resources, news stories, and case studies on what’s making the headlines today, it’s time to start focusing on your own list. One of the best ways to accomplish this is to simply start growing your mailing list and doubling its size at a faster rate than ever before. This is now possible through the use of AfterOffers.com and our 100% opt-in email marketing solution. Contact us today to get started with a campaign of your own, and see how cost effective email lead generation can really be!